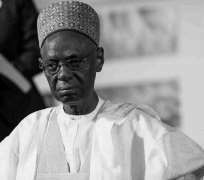 Ahaji Shehu Usman Aliyu Shagari, GCFR a Second Republic President, is dead. The former president died at the age of 93. His demise was announced on Twitter by both the governor of Sokoto, Aminu Tambuwa and the former president’s grandson, Bello Shagari.